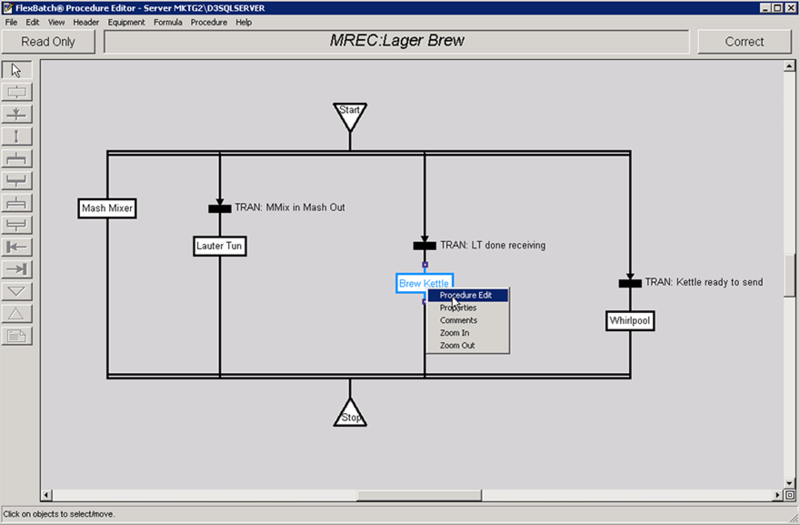 FlexBatch® integrates recipe management and the automation layer so operators can quickly and easily develop, scale up, modify and schedule batch manufacturing recipes for products ranging from beer to chocolate to specialty chemicals and more. FlexBatch delivers shorter time to first batch, reduced changeover times, increased throughput and production yield. New and existing products are brought to market faster and at lower cost, providing strategic and financial advantage. Production staff can execute library procedures to overcome process upsets. All of which means a more nimble, responsive, and profitable process. FlexBatch is designed in accordance with the ISA 88 standard for batch management to help reduce cycle times and life-cycle automation costs. It reduces the need for control engineers by empowering recipe developers and operations staff to make automation changes via intuitive graphical tools. FlexBatch also facilitates compliance with stringent FDA standards such as 21-CFR-Part-11 and the ISPE standard GAMP-5, use of FlexBatch improves product/record integrity, reduces commissioning time, validation costs, and compliance workloads. 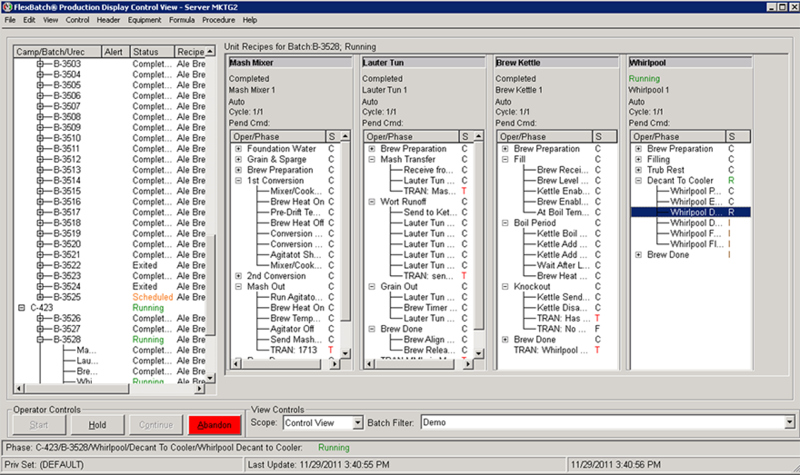 FlexBatch simplifies the creation, maintenance and documentation of procedures with a graphical editor that creates Procedure Charts for all aspects of production. FlexBatch uses ISA-88 conventions to define transitions between entities which reduces the need for controller programming. The recipe developer creates phase and operation classes and stores them in libraries of reusable objects that recipe developers insert graphically into procedures. Meanwhile, the control engineer can define the plant equipment and the equipment connections within FlexBatch. 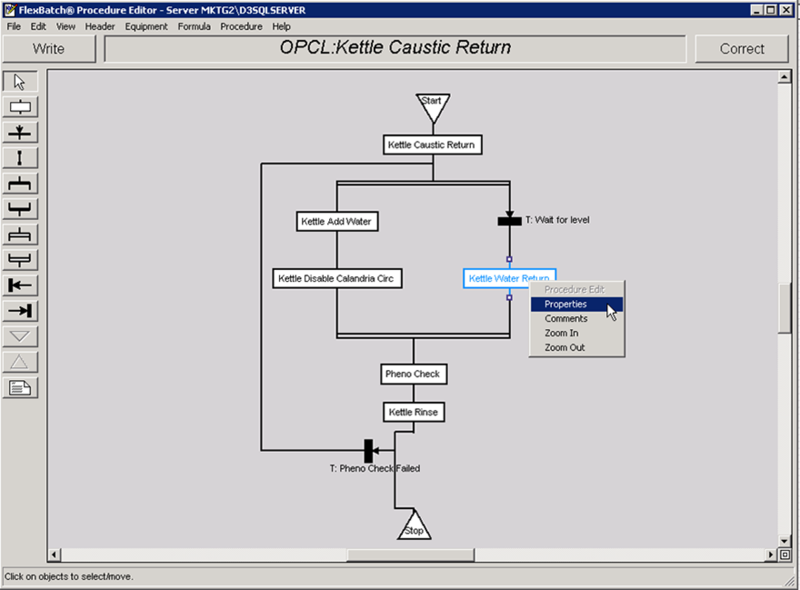 The actual phases are created using development tools for the D/3 Distributed Control System. This modular approach to creating recipes and phases saves time, reduces testing and errors, and simplifies validation. Because procedures are part of the recipes, producing or modifying a recipe is simple and virtually error free. Operators create, schedule and manage campaigns of assembled recipes to fulfill customer orders or production targets. Whether running batches on a single production line or at multiple facilities, operators can visualize and adjust production to meet changing customer demands, assign equipment to specific batches, or modify recipe parameters and procedures associated with individual or multiple batches. With FlexBatch reporting tools, users can create custom campaign and batch reports to document all activity associated with batch execution. FlexBatch also includes batch analysis tools to allow operations staff to monitor and analyze production line performance against established KPI’s. 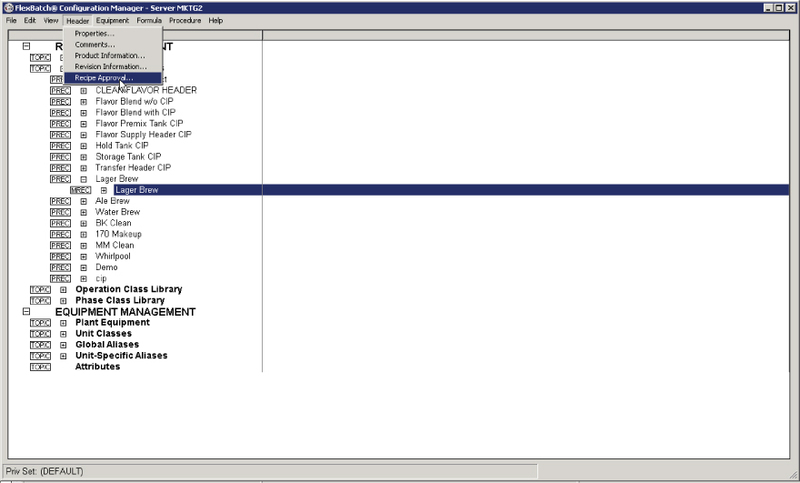 Create Operations graphically with the Procedure Editor. 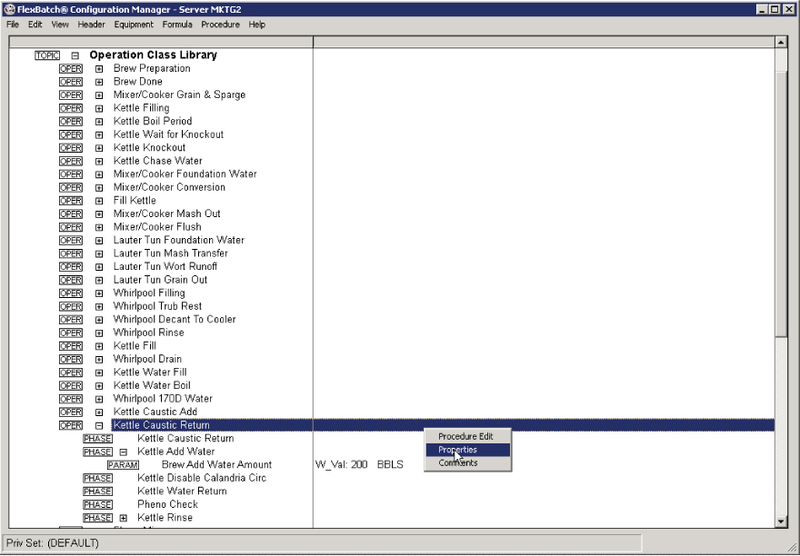 Organize phases and operations in class libraries and assign valid equipment with the Configuration Manager. Assemble Unit Recipes into Master Recipes using the Procedure Editor. Approve recipes and make them available to production. Create campaigns, schedule batches and adjust properties with the Control, Schedule, and Production views. NovaTech is pleased to announce the release of FlexBatch® Version 4.1-3, a maintenance release of FlexBatch 4.1 which includes enhancements designed to improve the efficiency of recipe development and improves the overall user experience.